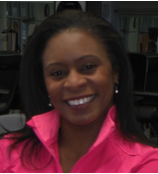 Yvonne Greer owns and operates Power Zone, Inc. She is a certified personal trainer, group fitness instructor and motivational coach/speaker with extensive training in multiple fitness formats (aerobics, boot camp, step aerobics, indoor cycling, kickboxing, TRX, pilates, yoga, strength training, and aquatic exercise. Yvonne is also a freelance television/radio personality. She graduated from the University of Illinois in 1990 with a Bachelor of Science degree in Journalism. She has hosted shows on Peoria's WMBD-TV and WMBD Radio, Chicago's WLS and WGN Radio, and the nationally syndicated Health Radio Network. Yvonne and her fitness efforts have been featured in publications across the country, as well as on several television and radio programs. Yvonne got her start as a Jazzercise instructor in 1994. She has expanded her skills since then to include personal training, fitness classes, workshops and speaking presentations for groups and companies across the nation. Yvonne currently lives in Peoria, Illinois with her husband Greg and their two children. She believes in living life to the fullest, and is currently writing a series of fitness books and producing inspiring music to help others do the same. Her mission at Power Zone is to help you recognize, utilize, and maximize your own personal power to live the life you want, in the body you want.